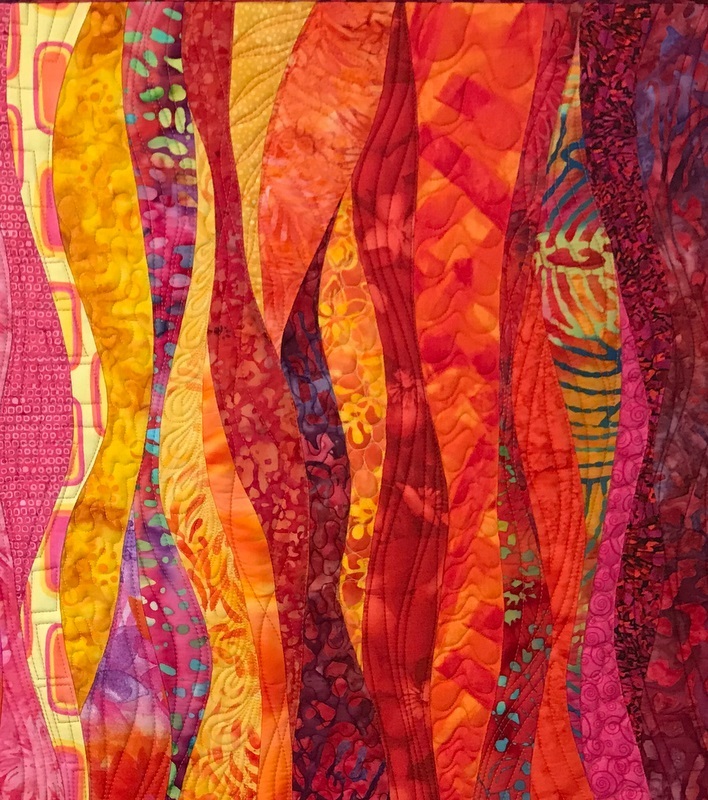 If someone would have told me 10 years ago I would be purposefully making art quilts with colors I previously thought should never appear together, I would have said they were nuts! 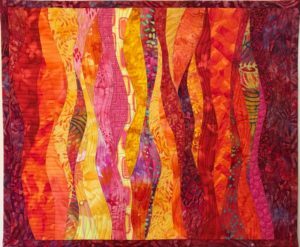 And yet…I just created an abstract art quilt with orange, pink, yellow, and burgundy. 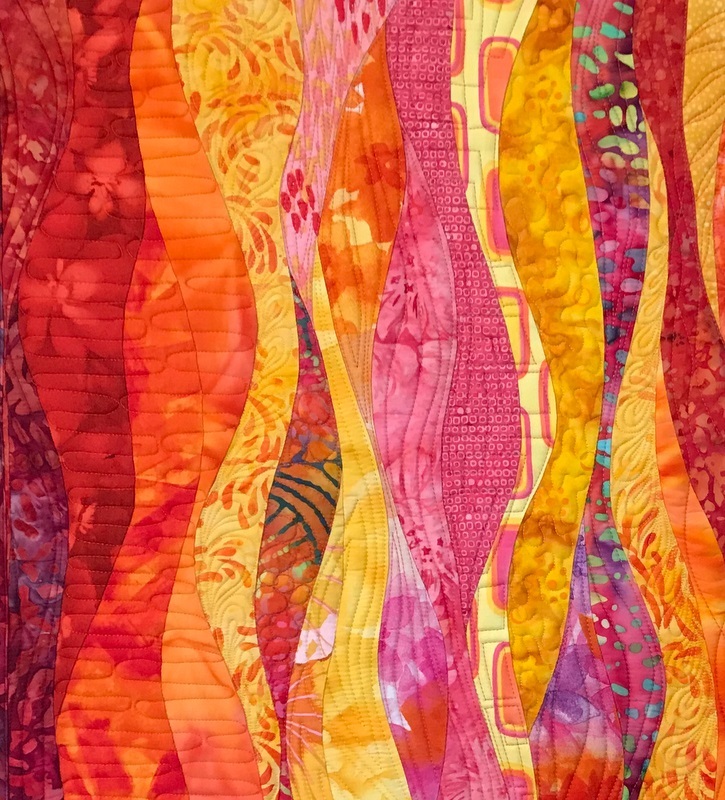 Almost all of the fabrics are batik prints too which just adds to the craziness of this art quilt. 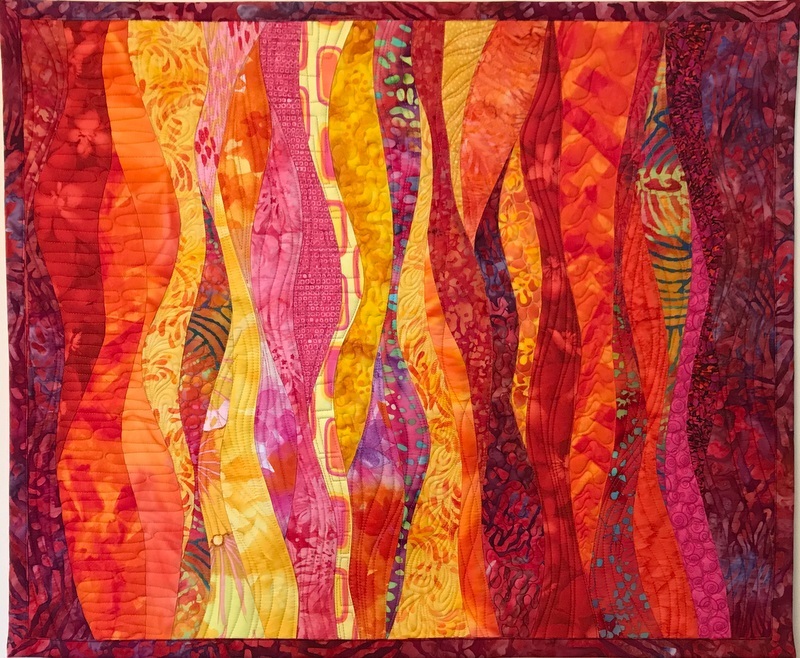 I think my desire to make this quilt came from seeing a painting someone did with these colors. 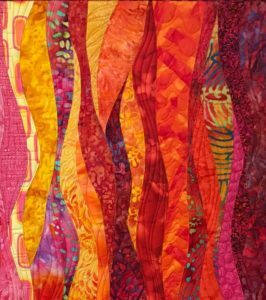 I thought I could definitely try this with my art quilts! Not being a pattern or detail design planner, I started by cutting about 4″ strips of about 40 or 45 fabrics. I laid them out the way I “thought” I would use them but once I started sewing piece to piece I modified the plan and even didn’t use some fabrics. I can’t explain the process of sorting out the design but I just let the curves speak to me. The curves of the previous pieces sort of guide me in the next piece. There were no do-overs with this one….I was having a good design day when I pieced it! I decided to incorporate a wide variety of free motion stitching, some designs I made up as I went to compliment the designs and colors of the individual fabrics. I’ve included some closeup photos of sections of the quilt. Clashing colors can be incredible together!